In Software Engineering, personality traits have helped to better understand the human factor. In this chapter, the authors give an overview of important personality traits theories that have influenced Software Engineering and have been widely adopted. The theories considered are Myers-Briggs Type Indicator, Big Five Personality Traits, and Belbin Roles. The influence of personality traits has provided remarkable benefits to Software Engineering, especially in the making of teams. For software project managers, it is useful to know what set of soft skills correlates to a specific team role so as to analyze how personality traits have contributed to high performance and cohesive software engineering teams. The study of software engineers' personality traits also helps to motivate team members. Creating teams that involve compatible individuals, each working on tasks that suit them, and having a motivated team improves team performance, productivity, and reduces project costs. It can be said that the development of personality traits is, in part, not linked to peaceful years of recent modern history. Personality traits studies evolved from a branch of psychology known as personality psychology. 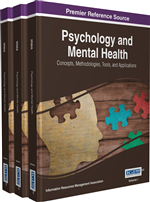 Psychiatry set the tone for personality psychology until World War II (Udoudoh, 2012). Nowadays, it is possible to categorize studies of personality psychology in order to classify the theories that authors have developed over years of research. The theories can be categorized into biological, behavioral, psychodynamic, humanist and trait theories. In the literature it is possible to find various definitions of personality. Some authors define personality as a person's moods, attitudes, opinions, motivations, and style of thinking, perceiving, speaking, and acting. It is part of what makes each individual distinct (Jordan, 2011). Other authors say that personality is the combination of all the attributes - behavioral, temperamental, emotional and mental - that characterize a unique individual (Lepri, Mana, Cappelletti, Pianesi, & Zancanaro, 2009). As can be observed, what both definitions have in common is that personality makes a person unique. Nevertheless, it is possible to find people that have some personality attributes in common but most likely, the degree to which they influence the personality of each person is quite different. Personality psychology is the branch of psychology that studies personality based on the personality differences of individuals. As differences can affect distinct aspects of personality and can be studied from different points of view, personality psychology theories have been classified according to the categories summarized above. The most relevant category for the present research is trait theories. The best definition that can be used to describe personality traits is the one given by the American Psychiatric Association in 1987. It explains that personality traits are enduring patterns of perceiving, relating to, and thinking about the environment and oneself that are exhibited in a wide range of social and personal contexts. Theories classified as trait theories in the personality psychology domain describe models designed to detect the predominant personality traits of a subject to match his or/her personality to a predefined pattern. Theories that are well-known in the field of personality traits are Myers-Briggs Type Indicator, also known as MBTI, and Big Five Personality Traits or BFPT models. These models are widespread and although they are not recent models, they are still used because they provide good results and are easy to apply in research and real life environments. In identifying people’s personality psychological profile, personality traits theories are not alone. Other contributions that come from psychology converge in what has been denominated soft skills. Researchers have established that people possess hard and soft skills. While hard skills are the technical requirements and knowledge an individual needs to carry out a task (Ahmed, Capretz, & Campbell, 2012), soft skills are non-technical skills referring to a wide range of abilities including flexibility, creativity, problem solving skills and listening skills (Jain & Gupt, 2012). Also, it can be said concisely that soft skills are skills that refer to the personality traits and attitudes that drive a person’s behavior (Cloninger, Bayon, & Svrakic, 1998). Emotional Intelligence is one of the most influential theories when dealing with soft skills. The Emotional Intelligence theory was developed by Daniel Goleman in 1995. Emotional Intelligence refers to the capacity to recognize our own feelings and those of others, to motivate ourselves, and to manage our emotions and its effect on us and our relationships. Goleman groups the skills into five components: self-awareness, self-regulation, motivation, empathy and social skill. One interesting point is that a person, helped by a coach, can improve his or her emotional intelligence skills. The process of designing and developing computer systems is, like any other facet in our lives, driven by emotions (Colomo-Palacios, Casado-Lumbreras, Soto-Acosta, & García-Crespo, 2011).